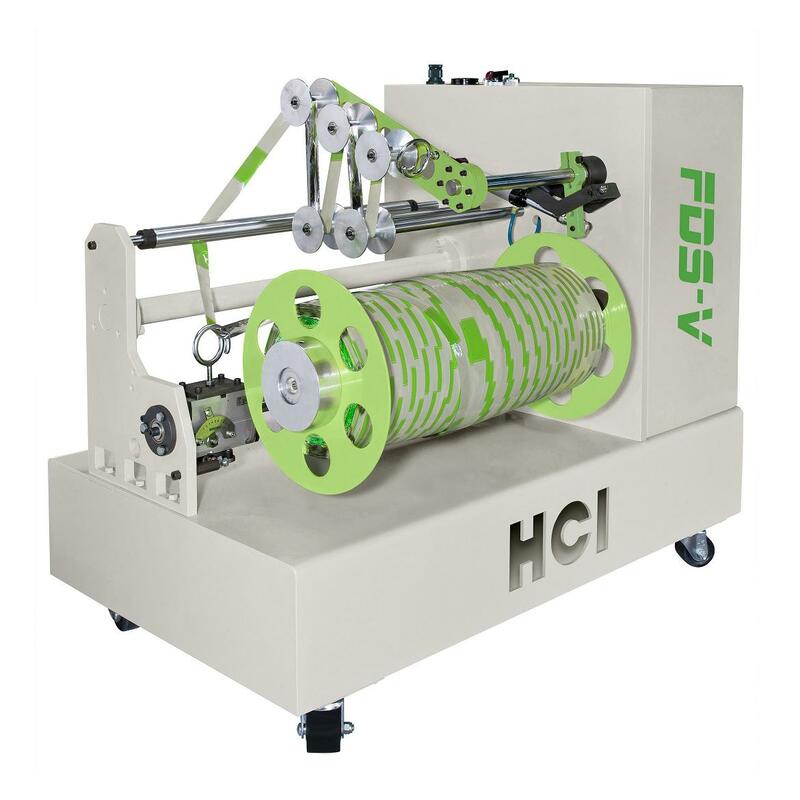 Trim Winder For Slitting Machine(FDS-V) - HCI Converting Equipment Co., Ltd. The Trim Winder is driven by a vector motor and inverter, providing synchronous motion with the slitting machine. Equipped 3" winding air shaft for easy unloading. The left and right movement of trimming guider is using the Germany made slide screw, it is more efficient and safety than using the liner guider. Equipped with pneumatic dancing roller unit, the winding tension could be adjusted. Rewinding speed auto control function. Paper Core inner Diameter [mm] 76 / 3"